Superstar Mahesh Babu's Second Look From Maharshi Is Out Now! Home BOLLYWOOD Superstar Mahesh Babu’s Second Look From Maharshi Is Out Now! Superstar Mahesh Babu’s Second Look From Maharshi Is Out Now! Second look of Superstar Mahesh Babu from the film Maharshi is out now! Mahesh Babu shared the second look of the film on his official Instagram handle on 6:03 pm wishing all his fans a happy new year. Ever Since the announcement of the second look took place, fans couldn’t keep calm and they took the internet by storm to showcase their love for the actor. The anticipation and the excitement went way higher about the film Maharshi, a strong India trend was witnessed with #SSMB25 was trending on Twitter. The first look and a promo video from Maharshi was revealed on Mahesh Babu’s birthday this year when fans went gaga about it and fans liked the most. But fans had to wait for a long time to hear more about the film since then. 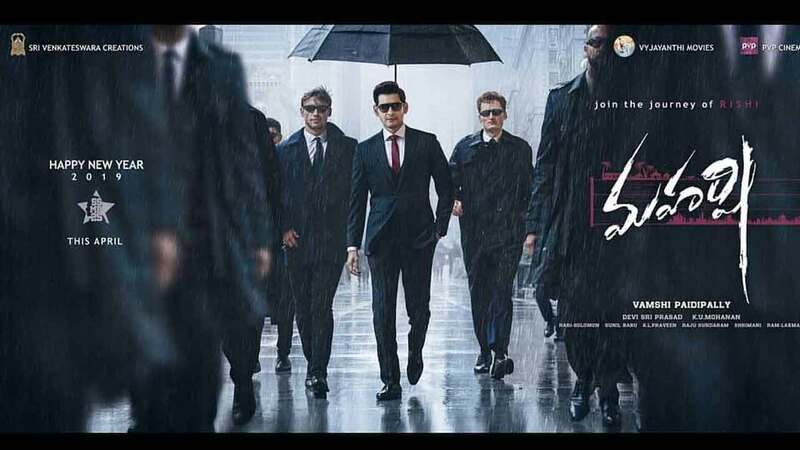 Maharshi has been the most anticipated film in fans as there is a lot of excitement amongst Mahesh Babu’s fans to see the second look of the film which is coming out now. Maharshi also stars Pooja Hegde as the leading lady and will be her first film alongside Superstar Mahesh Babu. Maharshi is slated to be released in April 2019 and is said to be one of the biggest releases of the year.